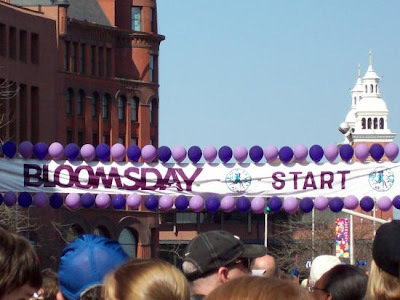 Being Frugal and Making It Work: Bloomsday Run 2013 - 12K Today in Spokane, Washington! Was a perfect day for a 12K! My 12 year old son finished Bloomsday in 1:06:51 and my 9 year old daughter and I finished in 2:06:17! All of us beating our times from last year!